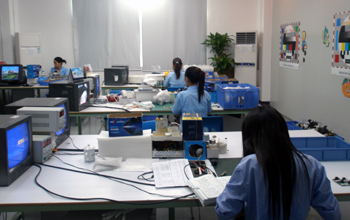 Firmed in 2004, GOLBONG was born with the ambitions to deliver the professional security products. In 2009, we had started transforming our products from analog to digital IP. Voice of the customers is our inspiration to develop the new products. Listen to our customers, discover what they need, review recent technologies, and come up with proper solution. The integrated New Product Development (iNPD) process makes sure our products are developed originating from the customers' demands. The customers are invited in at the very early place to formulate the value map. This value map becomes the instruction guiding our marketing team and technical team to generate the new concepts. After that, our engineering selects one of those concepts and finishs the job to make the products real. 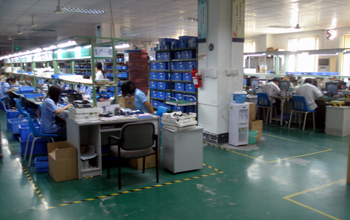 The customers always stay in loop, know our development status, help us refine the design. Sometimes they can even pull us out from the wrong direction. We respect the way our customers operate their business, it could be very different one from another. Some of them are operating the project-based business. We have made our production in scalable to satisfy all kind of order requirement. Continuos quality improvement is our guarantee to deliver reliable products. All parties are required to identify even smallest advancements and bring it up, because thousands of small steps can make significant improvement. We learned the price is not the only thing our customers concerned, but also the service. They would like to have trusted security solution to protect their asset or family, instead of simply a merchandize. We joint our partners to provide the customs service globally. We can not speak local language, but our partners can. We don't know their culture, but our partners know. Together, we are doing the best interests for our customers. People are the critical assets to golbong. We all have trained to be customer-first in our mindset. We care about our customers, our colleges, our suppliers, even our competitors. These stakeholders continue to inject the passion, pushing us to make cool products every year.